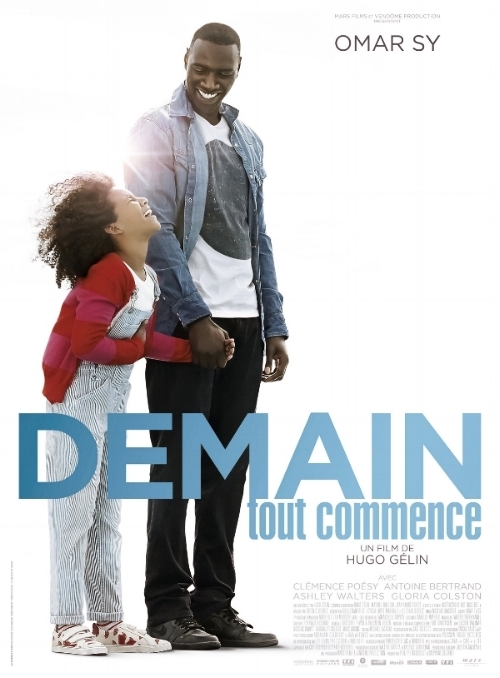 "Demain Tout Commence" from director Hugo Gelin, and starring Omar Sy is out today in theaters in France. Amazon in France is carrying the soundtrack for download. Produced by Rob Simonsen and Taylor Lipari-Hassett. Nerve hits theaters 7/27/16. Soundtrack being released by Lakeshore Records. Original score for Burnt now available on Lakeshore Records. Original score + songs from Roland Emmerich's "Stonewall" out now on Lakeshore Records. The Echo Society is a collective of composers and artists who band together to create and share new musical and visual works. All pieces are written and crafted for a specific musical ensemble, and performed in that single performance. This next show, Veils will be in a transformed warehouse in downtown Los Angeles with a 9-piece chamber orchestra and electronics. The lineup for the evening is: Eskmo, Justin Boreta + Matthew Davis (of The Glitch Mob), Judson Crane, Deru, Nathan Johnson, Mica Levi (Under the Skin), Rob Simonsen, Joseph Trapanese, Daniel Wohl, and Jeremy Zuckerman. Couldn't be more excited to share this evening with others. Track used in a piece about Fletcher Cleaves, as part of AT&T's "It Can Wait" campaign. Recorded live at The Echo Society show "Bloom"
The original score to "The Age of Adaline" is now available on iTunes and Amazon. Hear the album preview below. I wrote this song with my friends Faux Fix for the end credits of The Age of Adaline, a film I had the pleasure of scoring (score album will be out 4/21). Elena Tonra of Daughter lent her beautiful voice for the song, and I'm happy to see it released by Lakeshore Records. It's available now on iTunes: "Start Again" from The Age of Adaline. 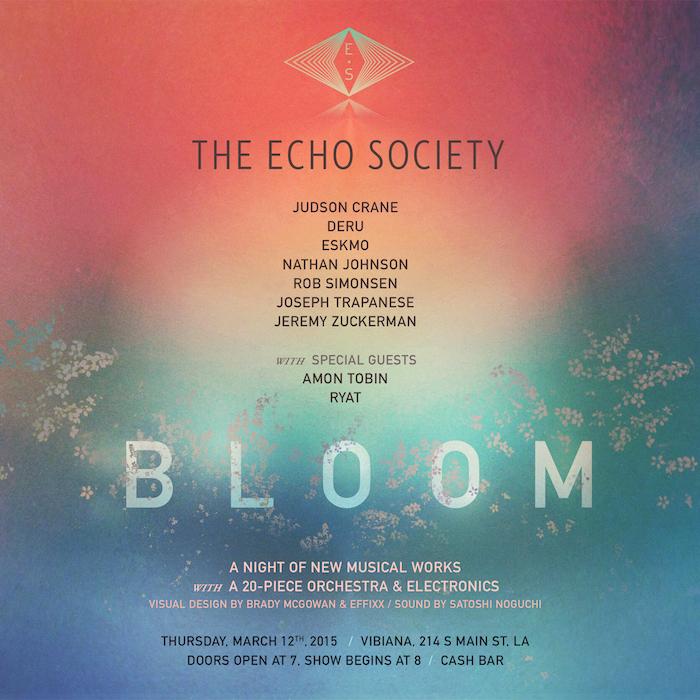 Join us March 12th for an evening of new musical works, performed by some of LA's great musicians. Click the image below for tickets.